The data shown on this page were taken during the commissioning of Nod & Shuffle on GMOS-N in August 2002. The figure above shows a raw frame from a longslit Nod & Shuffle observation. The dispersion is in the X-direction, red to the left, blue to the right. The slit spans the central third of the frame in the y-direction. The two set of spectra correspond to the spectrum from the A-position and the spectrum from the B-position. For this observation, the nod was along the slit and the objects are in the slits in both nod-positions. The figure above shows the result of processing four longslit Nod & Shuffle exposures as follows: Bias subtraction, processing with gnsskysub to shift and subtract the two nod-positions, and combining the exposures to clean for cosmic-ray-events. The resulting cleaned spectra are in the central third of the image in the Y-direction. 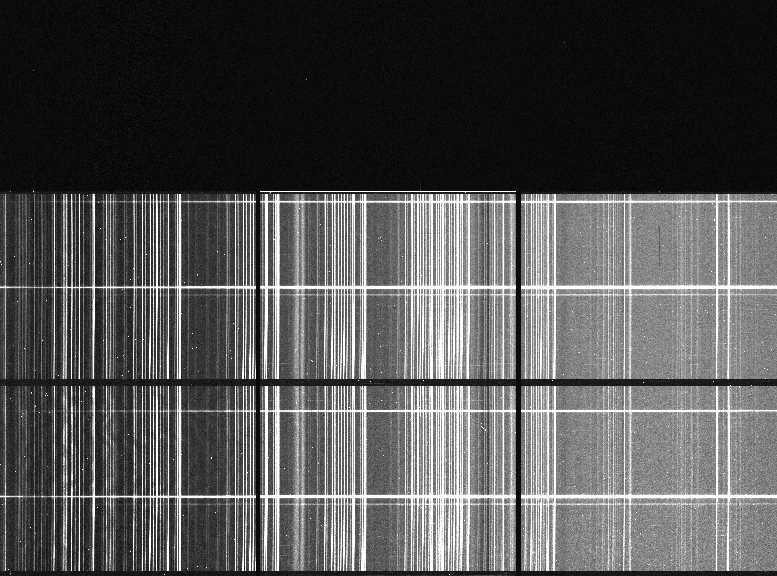 Since the nodding was along the slit, both positive and negative spectra are seen. The longslit Nod & Shuffle exposures shown above were fully reduced both as Nod & Shuffle observations (the left hand panels on the figure above) and using conventional techniques for longslit spectroscopy (the right hand panels on the figure above). The conventional techniques include wavelength calibration and rectification of the spectrum before sky subtraction. The QSO PKS1756+237 has R=18mag. The SW star is about 3.5 mag fainter. The sky residuals from the conventional reduction of the star are dominating the spectrum redwards of about 750nm. The figure above shows the comparison of the sky noise residuals for Nod & Shuffle and for longslit spectroscopy reduced with conventional techniques. The cyan line on each of the panes is the sky spectrum, shifted and scaled down with about a factor 16. The total exposure time for the observations used is 2 hours. 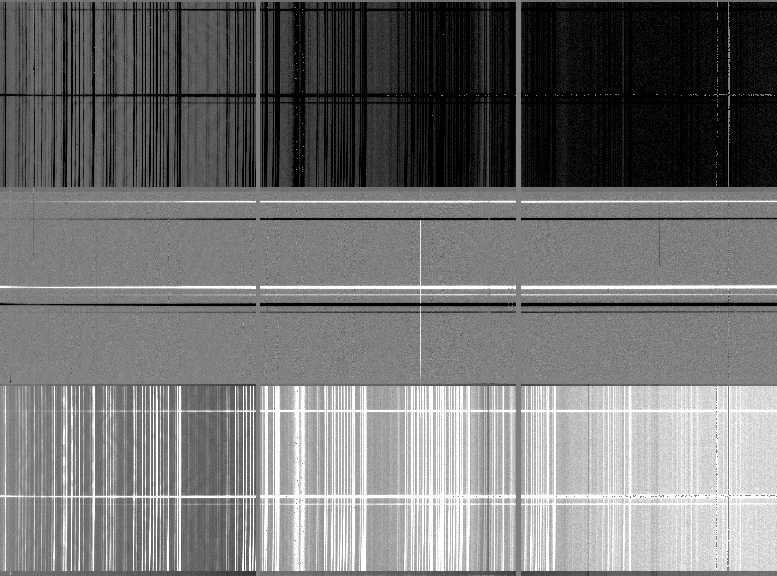 To illustrate the performance expected from a 20 hour MOS exposure using 1 arcsec apertures, the top left panel shows the average sky noise over a 10 arcsec aperture along the slit.